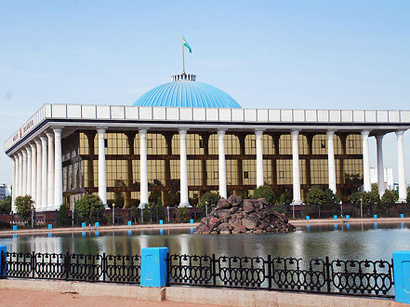 The Senate of Uzbekistan is holding its regular 11th plenary meeting on March 28 - 29, according to official report of the press service of the upper house of the parliament. 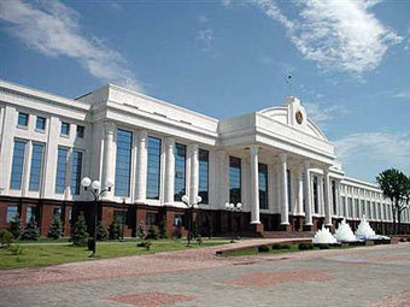 The agenda includes several drafts including amendments to the laws "on citizens' self-governing organs", "on elections of the chairperson of citizens' meeting and his advisers", "on traffic safety" and some other laws aimed at democratization of the public authority and governance, improvement of business environment and development of entrepreneurial activity, as well as juridical and legal system. Senators will also review the draft law on ratification of the treaty on legal aid on civil and economic affairs signed in September 2012. During the plenary meeting they will listen to the reports on the activities of the Authorized Person of the Oliy Majlis (Parliament) on Human Rights (Ombudsman) and the Account Chamber, as well as the report of the Attorney General on the conditions and measures on further enhancement of prosecutorial supervision over the implementation of current legislation on human rights and freedom, on the performance of the State committee on nature protection. Moreover, senators will listen to the information of the ministry of justice on implementation of laws by organs of public administration and supervisory structures in 2012. Other issues covered by the competence of the Senate of the Oliy Majlis will also be discussed at the plenary meeting, according to the report. 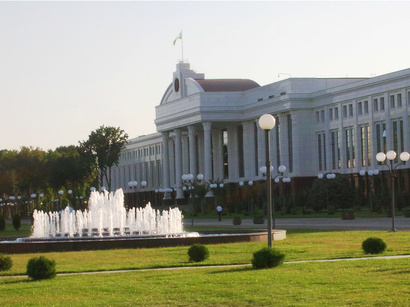 The two-house parliament of Uzbekistan was first formed in 2005. The legislative chamber consists of 150 permanent members elected for the term of five years from four political parties and the Ecological movement of Uzbekistan. The upper chamber consists of 100 senators. 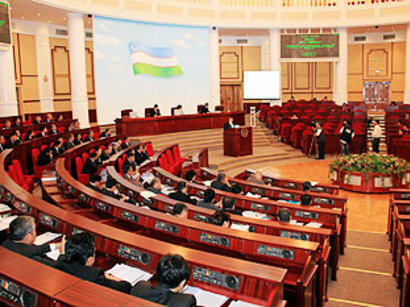 The Republic of Karakalpakstan, the provinces and the city of Tashkent are represented equally by 6 senators each. 16 more senators are appointed by the president from the prestigious citizens with large practical experience and special merits in science, arts, literature, manufacture and other fields of public and social activities. The decision to hold a regular plenary meeting is taken by the Kengash (Council) of the Senate.